Now in its fourth decade as one of the biggest and best one-stop shops for boat enthusiasts, Beaulieu Boatjumble 2017 is offering free entry to children under 12. To mark the landmark event, organisers are also offering teenagers special reduced price tickets. The treasure trove of nautical bargains will be returning to the New Forest country estate on Sunday 23 April. PBO will also celebrate its 50th birthday at the show: and, back by popular demand, we are once again holding free practical talks and demonstrations on a range of boating topics in our Ask the Experts Live! marquee. BHG Service, which has just opened a new chandlery at Buckler’s Hard Yacht Harbour on the Beaulieu river, will also be celebrating its 70th year. Offering hundreds of stands with countless boating bargains, Beaulieu Boatjumble has become a favourite with boating enthusiasts and is the largest outdoor sale of maritime items in Europe. With a new layout for this special year, the event gives the chance to browse yacht and motorboat spares and accessories, ropes, flags, charts, lifejackets, engines, tools, canoes and dinghies. A highlight for buyers and sellers alike, Trunk Traders will be in its own separate zone. It is the ideal opportunity for amateur jumblers to clear their lockers, sheds and garages and sell unwanted nautical paraphernalia from theircar boots. If you need an anchor or aqualung, winch or windlass, you’ll find it at Beaulieu. Show-goers can see up close a selection of new and used boats for sale in Boatmart, while Boatmall offers a wide selection of the latest maritime products from leading manufacturers. This year, the line-up of marine industry specialists will include firm favourites such as Gareth Ross from Sika who will be returning for a third year, this time with a practical demonstration on window bonding; Chef David Wells from South Devon College, who likes to tempt visitors in with bacon sandwiches and then demonstrate some tasty, easy recipes to spice up your galley; and Gary Thompson of WEST SYSTEM Epoxy from Wessex Resins who will demonstrate how to repair holes in glassfibre boats. 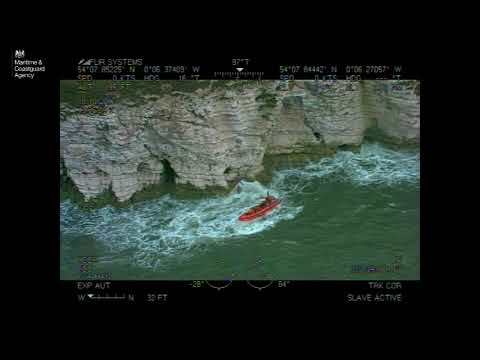 Meanwhile, Met Office weather forecaster Penny Tranter will once again be sharing her knowledge of how boaters can prepare for and respond to impacts from the weather. New for 2017, we have DIY rigging checks with Jerry Henwood – aka Jerry the rigger of Gosport – who has worked in the rigging industry for more than 25 years and is the Atlantic Rally for Cruisers (ARC) official rigger. Experienced cruisers Daria and Alex Blackwell will be travelling from Ireland to offer anchoring advice. Plus a sail trim masterclass with OneSails’ Ian Brown and advice on diesel engine maintenance with Tom Edwards of ASAP Supplies. Visitors will also be able to gain advice on electronics and radar from PBO tester Alan Watson, who will once again be manning a stand, supported by Raymarine. The first Boatjumble on Sunday 16 April 1978 saw more than 7,000 eager visitors browse 270 stands, with numbers of traders almost doubling the following year. 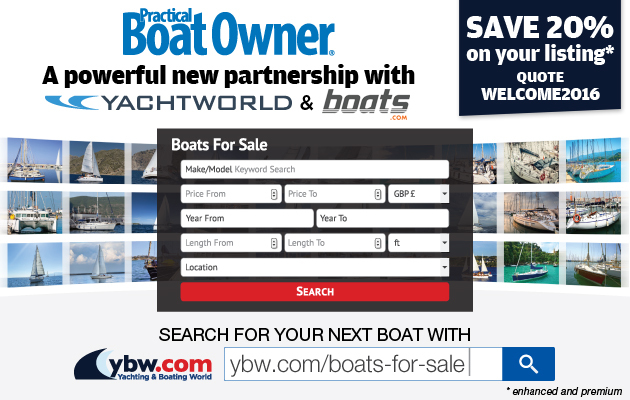 Boatmart became part of the event in 1991, giving potential boat buyers the chance to inspect and buy a wide range of trailerable yachts, dinghies and motorboats. Trunk Traders began at the Boatjumble in 2007, for smallertraders and yachtsmen to set up shop from the boot of their cars. It has been a constantly growing feature ever since. Advance event tickets are on sale until 13 April at £8.70 per adult and £5 for 13-to-17-year-olds. Standard event tickets, which are available from 14 April or can be bought on the door, are £9.70 per adult and £6 for 13-to-17-year olds. Don’t forget to quote PBOMAG17 to enjoy a 15% discount on Boatjumble ticket prices. For Beaulieu River mooring holders, a shuttle bus will run from 9am to 6pm from the Beaulieu River Buckler’s Hard Yacht Harbour to the Boatjumble. For more information visit www.beaulieu.co.uk/events or join the conversation with @Beaulieu_Hants and @p_b_o on Twitter, with #boatjumble. Sunday 23 April, from 10am to 4pm. Plus an Experts’ Question Time – end of the day Q&A panel until 4.30pm. Met Office weather forecaster Penny Tranter will share her knowledge of how to prepare for and respond to impacts from the weather. Following our Facebook appeal to find Beaulieu Boatjumble’s biggest fan in honour of its 40th year, we were delighted to hear from Dave Fursland, who has been to every Boatjumble since 1979. Dave, 45, first visited the Boatjumble aged eight with his father Bob. The pair used to travel up on a coach with Burnham-On-Crouch Yacht Club, but Dave said when that folded they continued to visit the show by car. The only year the pair have missed was in 2012, when the event was cancelled the day before due to stormy weather. Dave, who lives in Somerset, added: ‘It takes about two hours and 20 minutes to get there, but it’s always a good day out. Over the years I have had many, many bargains, from many, many stainless steel shackles and clasps to inflatable boats and handheld VHF radios, to name but a few. This year, Dave and Bob will be receiving complimentary tickets to the Boatjumble! PBO has teamed up with Careys Manor Hotel in the New Forest and Beaulieu to offer a VIP weekend for a pair of lucky Boatjumblers. The winner of this year’s competition will receive a night’s accommodation and breakfast at Careys Manor Hotel on Saturday 22 April, plus a £50 gift voucher towards dinner and a pair of tickets to Beaulieu Boatjumble on Sunday 23 April. Blending just the right fusion of relaxed informality and stylish refinement, a break at Careys Manor Hotel will make you feel wonderfully pampered. Nestled between the New Forest National Park and the Solent, this magnificent manor house provides the perfect base to escape and discover. With 77 plush bedrooms and suites, the award-winning SenSpa and three on-site restaurants, the hotel invites you to relax and enjoy at this four-star, quintessentially English hotel for an unforgettable stay in the New Forest. Nine runners-up will also each receive a pair of tickets to the Beaulieu Boatjumble, which includes entry to the National Motor Museum, Palace House and gardens, Beaulieu Abbey and World of Top Gear. The winner of the competition will be contacted by phone within two weeks of the Monday, 3 April 2017 closing date.